When all you need to make a pop record is a computer, there’s something rebellious about pouring bubble gum out of nickel wound strings. 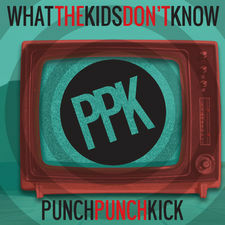 Los Angeles power pop wunderkinds Punch Punch Kick have spent the first five years of their existence carving off every shred of fat from their songs, leaving behind nothing but lean hooks and youthful lyrics planted firmly in your brain. They might be a rock band that writes pop songs, but they’re a band first. For drummer Reade Pryor it’s a point of pride. 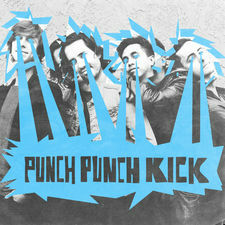 The members of Punch Punch Kick met long before the group formed, becoming friends while their respective old bands played shows at the Chain Reaction in Anaheim, a legendary all-ages club that provided an early stage for acts ranging from At The Drive-In to Fall Out Boy. Drawn together by a mutual respect for each other’s chops and the work of power-pop stalwarts like Cheap Trick and Weezer, Punch Punch Kick sat down to write some songs, taking their name from the standard button-mashing combo in arcade fighting games. Shortly after forming they met producer Linus of Hollywood, the only man in history to work with teen heartthrobs 5 Seconds of Summer and nerd-punk elder statesmen Nerf Herder. Initially planning on simply recording an EP together, the group’s chemistry with Linus lead to the beginning of a long-running relationship. 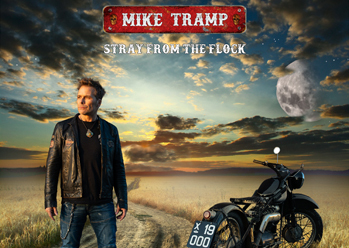 According to vocalist/guitarist Phil McDonald, “We got in contact with [Linus] just to produce some songs. We started recording an EP, and when we were done, we realized there was a lot more to do.” Over the course of four years, Punch Punch Kick wrote tirelessly, eventually winding up with the eleven songs that make up their self-titled debut. 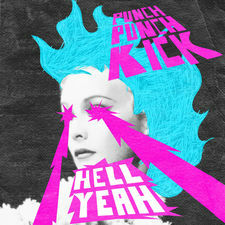 Recording fully independently, Punch Punch Kick has the perfect shine of a major label power-pop debut with the crunchy playfulness of a snotty punk record. Only this time the punks have grown up. Opener “Licking My Wounds” isn’t a kiss-off for a girl who’s done them wrong but a story of McDonald and his wife struggling to stay strong while working crazy hours and barely seeing each other. “What the Kids Don’t Know” is a critique of our cynical reality TV and social media focused society that’s too busy getting the kids to dance to become a sermon. Love songs like “When You Hang Around” and “Someone Else” sound like The Monkees playing Flying V guitars, with hair metal solos and vocal harmonies dueling in unison. It’s an album that would probably wear a sweater vest to high school. But hey, Weezer made sweater vests cool a long time ago. Despite Punch Punch Kick’s DIY approach to recording, the band has teamed up with their friends at Lolipop Records for their self-titled release. The band joined the label the old-fashioned way—walking through the front door, handing them the record, asking them to listen, and hoping they would. Miraculously, this worked. It was a long shot, but one free of risk. 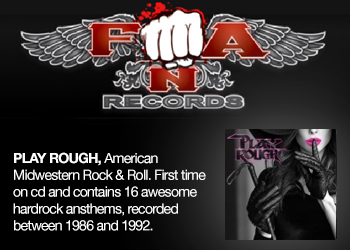 Even if they didn’t get signed the record was done, and Punch Punch Kick’s palpable camaraderie would remain. At its core, the band is just a group of friends who love playing music together. 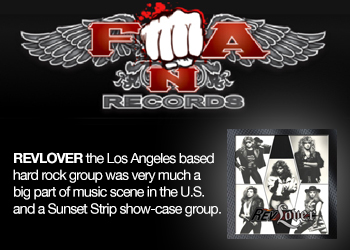 Coming up in the cut-throat world of the LA music scene finding that kind of brotherhood is more rare than a clean nose at the Whiskey.